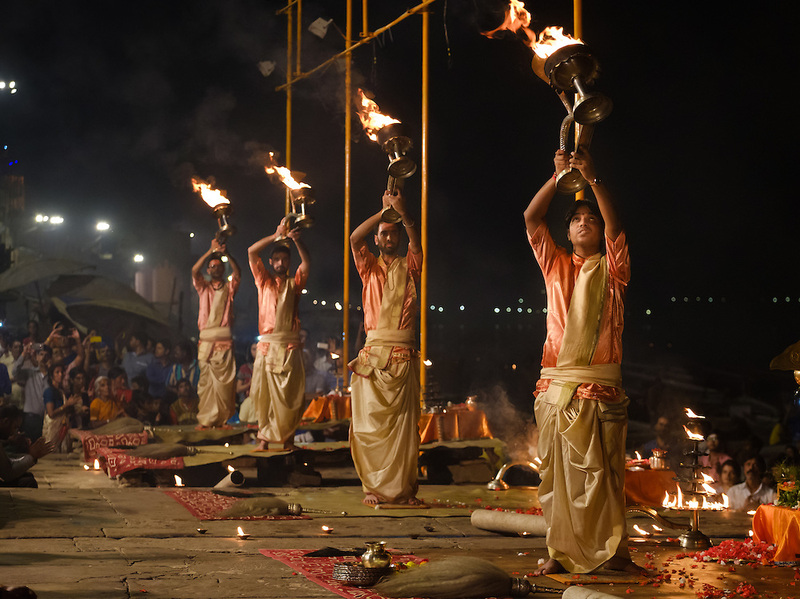 VARANASI, INDIA - CIRCA NOVEMBER 2016: Young pandits performing the Ganga Aarti ceremony at the Dasaswamedh Ghat in Varanasi. The Aarti is a powerful and uplifting spiritual ritual that takes place every evening at dusk. Varanasi is the spiritual capital of India, the holiest of the seven sacred cities and with that many rituals and offerings are performed daily by priests and hindus.